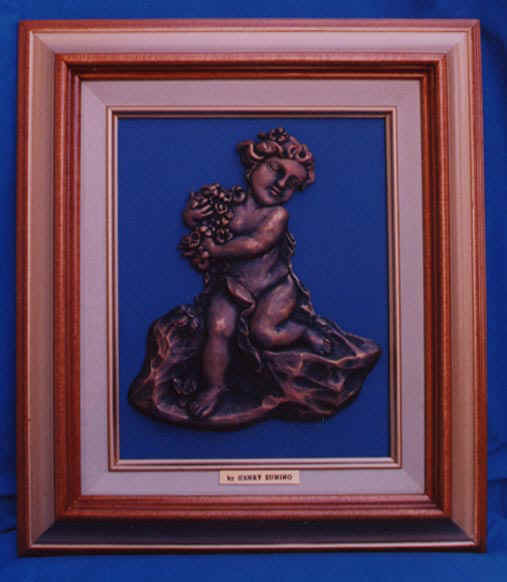 With his cascade of flowering buds, this child symbolizes health and longevity. 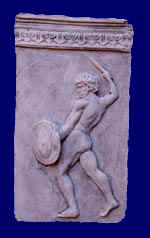 The goose next to the child symbolizes security, as geese in Roman times were used to protect homes against intruders. 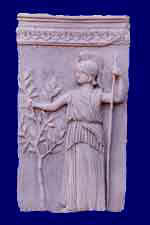 The plentiful grain in this composition wishes the recipient of this gift prosperity and success. 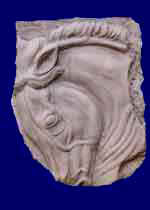 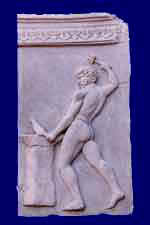 Capturing the spirit of Baccus, the Roman god of wine, this piece will add a special touch to any corner of your house. 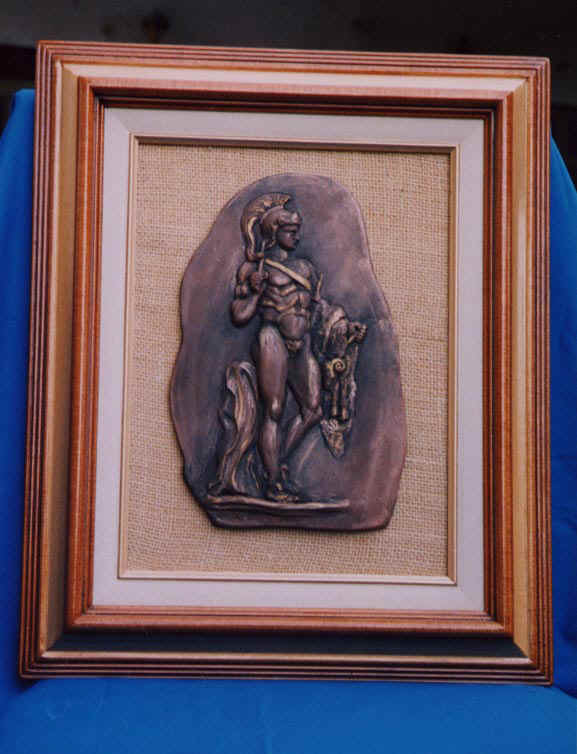 Depicting the god of the ocean in Greek mythology, Poseidon makes a fine addition to a living room or a study decor. 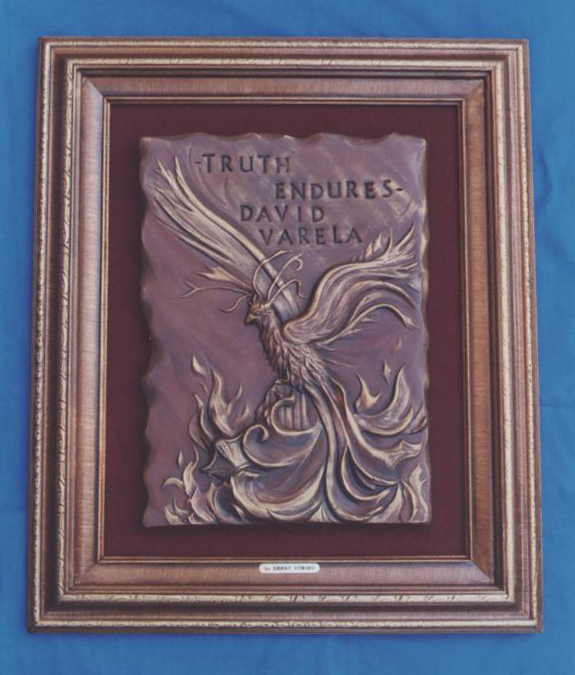 This unique piece will add character to any room in your home. 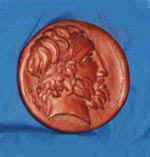 The Magna Grecia Collection features artistic reproductions of antique Mediterranian coins. 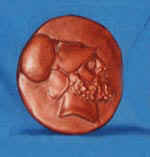 Pieces average 4 inches in diameter and can be used as exquisite paperweights or wall ornaments . 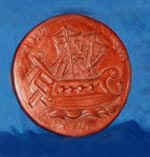 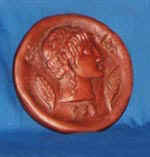 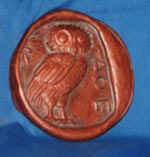 All coins are sculpted in fine terra-cotta and are finished with antique bronze (shown) or antique gold patina. 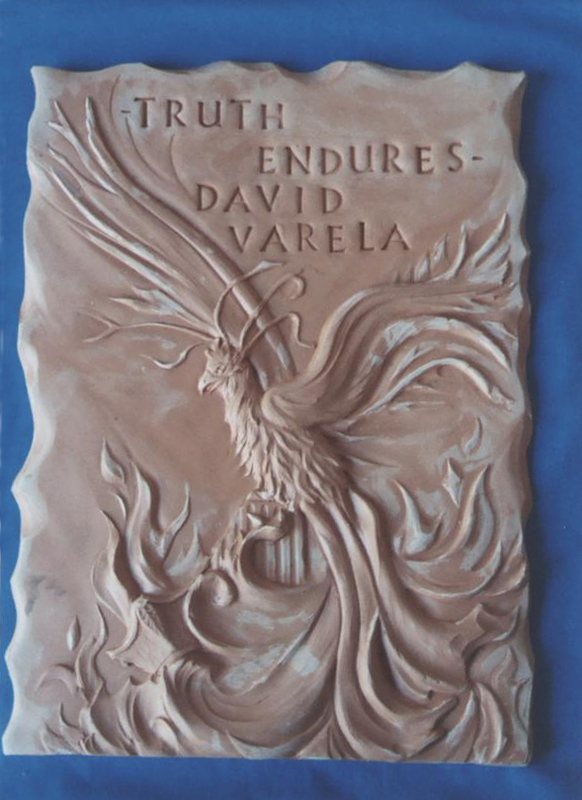 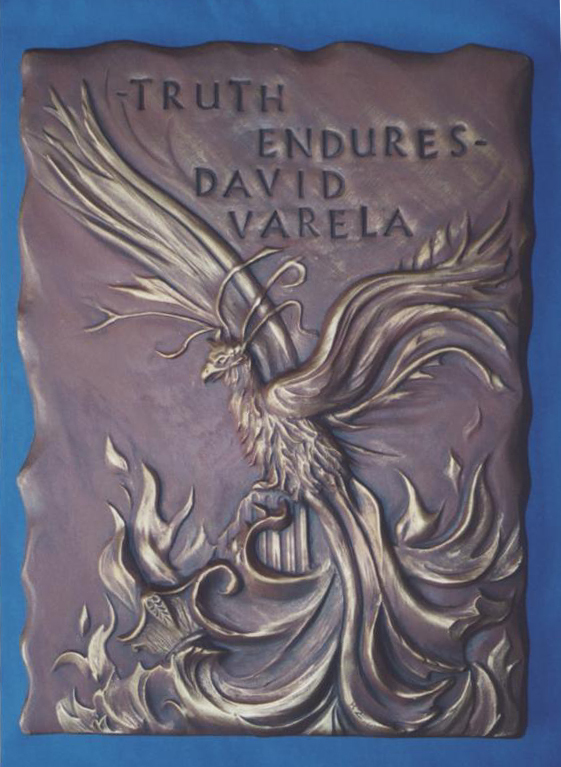 This bas-relief was created to encourage the recipient to persevere through a difficult time. 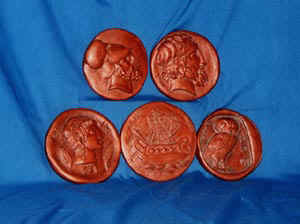 From left to right: Unfinished terra-cotta piece. 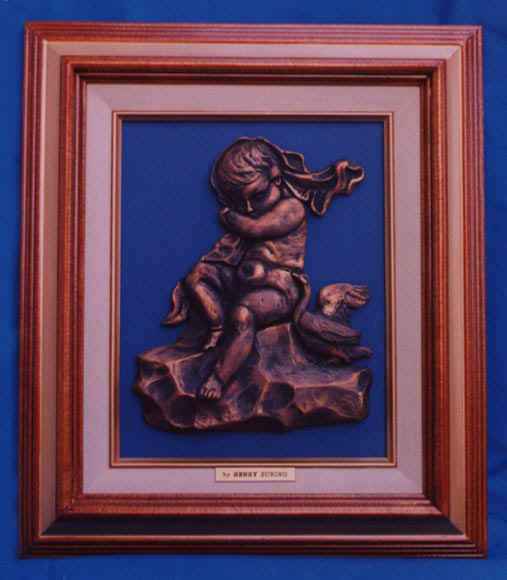 Terra cotta with the artist's signature bronze finish. 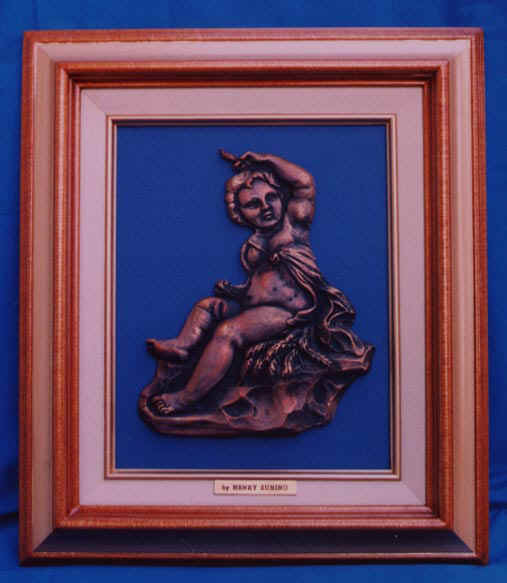 The finished piece framed.